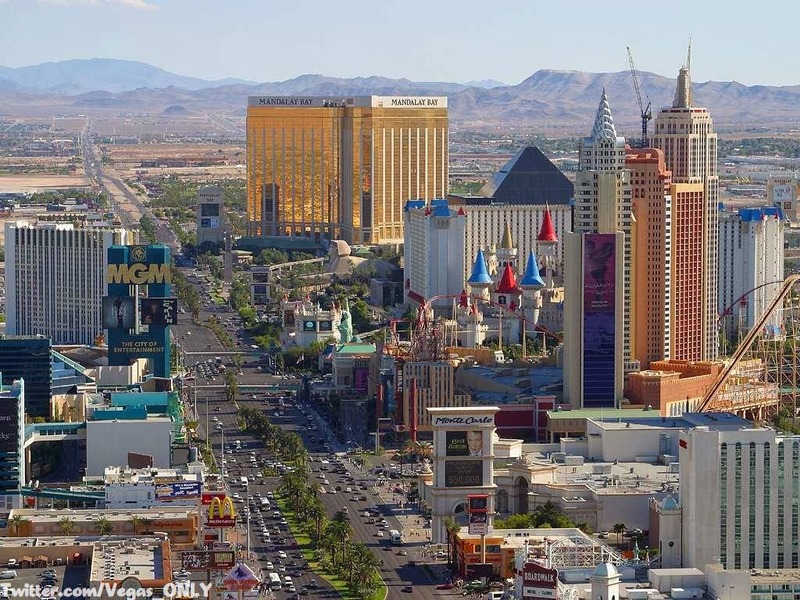 This week’s winner goes to @vegas_only for their picture of south strip. The colors on this picture are fantastic. This shot must have been taking no later than 2005 because you can still see in the lower right corner, the boardwalk casino which closed in Jan 2006 to make way for City Center. If I had to guess where this photo was taken, I’d have to say Planet Hollywood, which, at the time, was Aladdin. If a zoom lens was used, I could also see this coming from the Eiffel tower at Paris. The photo captures with remarkable clarity Mandalay Bay, Luxor, Excalibur, Tropicana, NYNY, Monte Carlo (complete with marquee advertising their then headliner, Lance Burton, and lastly the aforementioned Boardwalk casino during the day complete with a stunning mountainous backdrop. This is another one of those weeks where we had already selected what the pic of the week was going to be until I saw this picture. I wouldn’t be over exaggerating if I said my heart skipped a beat the moment I saw this pic and knew it was the winner.